The properties and quality of mortar mixes in both fresh and hardened states depend to a large extent on the properties of the materials used. This section provides guidance on the selection of the required materials. Use CEM II B-LL 32.5N cement or CEM II A-LL 42.5N cement, depending on the purpose and function of the mortar. As sand is the major constituent of a mortar mixture, its quality has a significant influence on the performance and material cost of the mortar mix. The mixture should stick to the trowel but spread easily; Cover the mixture with a wet cloth or plastic sheeting to protect the mortar from drying out too quickly. Warning: The mortar mixture should be used within a maximum of 90 minutes of being prepared, depending on weather conditions. If the mortar has hardened and is no longer workable, the mortar has to be discarded. Do not add water to restore the workability of the batch, as this reduces the strength and properties of the mixture. 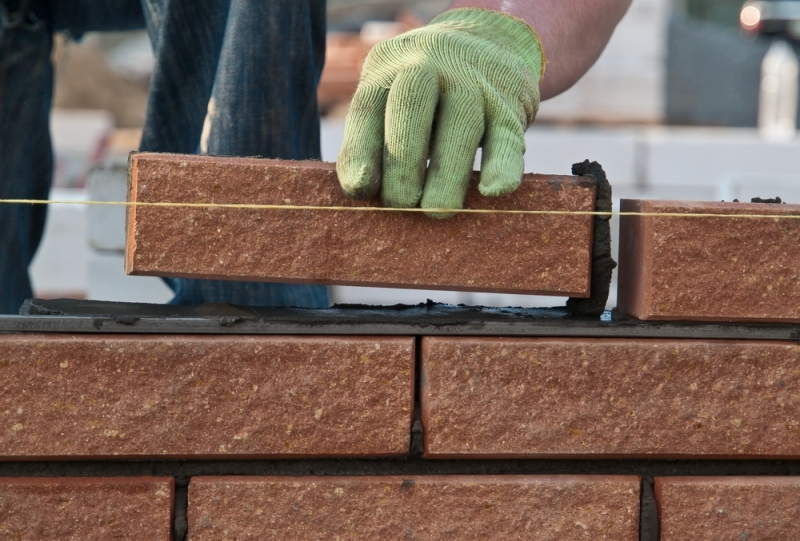 Carefully consider the current moisture content of the bricks to be used. Clay and cement bricks should be moistened before starting the job. If they are dry, they will absorb the moisture from the mortar, reducing the strength and increasing crack forming. The foundation on which the bricks will be laid needs to be strong and secure. If the foundation is not secure, the newly-built wall will crack as it settles over time. Lay one brick at both ends of the foundation, level them and secure a fishing line so that it runs precisely along the back top edge of these two bricks. Place additional bricks along the line. Load your trowel with mortar and place enough of it onto the foundation to lay two or three bricks at a time. Drag your trowel along the length of the mortar in order to make a deep hollow along the middle of the mortar load. Prior to placing each brick, coat the end of each new brick with mortar and place it firmly up against the previous brick. 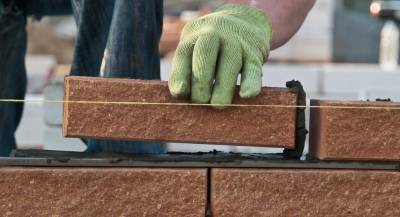 Place your bricks onto the top of the mortar and tap into place until the top edge of each brick lines up exactly with the fishing line. Scrape off any mortar that has been squeezed out from between the bricks as you work. Once you have laid the bottom bricks, begin building up the corners. As you fill in the brickwork between the corners, adjust the height of the fishing line by moving it up one row of bricks at a time, stretching the line tightly between the end bricks of each layer at the two corners at either end of the wall. The back top edge of each brick laid should line up exactly with the fishing line. Brick force should be used every 3rd layer or according to Engineers’ specifications.